Last year we decided 10 days before the exhibition opening that a booklet to accompany the exhibition might be a fun thing to make! Well we made it and it was a great success but it was too much of a last-minute panic and not enough fun! This year we’ve asked poets and artists right from the start whether we can reproduce each poem alongside the artist’s response in a booklet. Everyone has happily agreed. 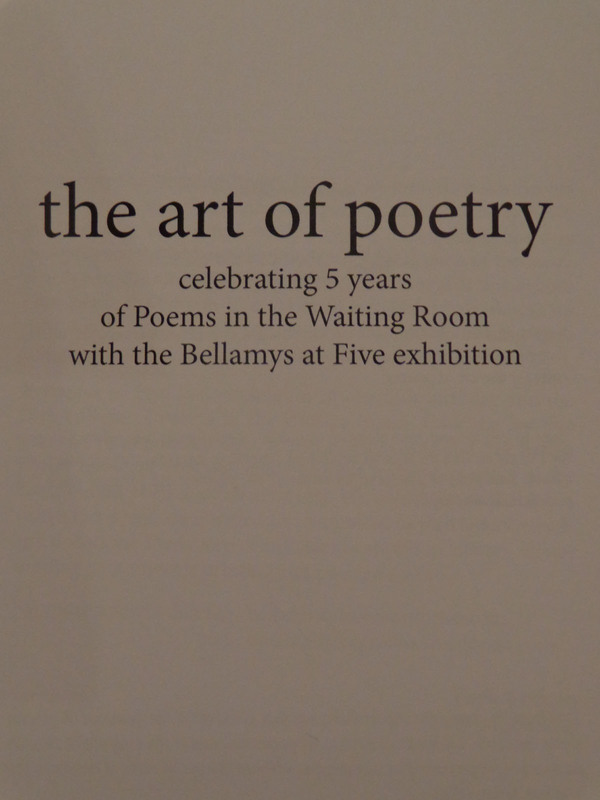 the art of poetry will be on sale at the exhibition – any profits to PitWR – and we’ll post it anywhere in NZ with postage costs added. This afternoon I collected the proof of the art of poetry from South City Print. It’s a 60 page A5 spiral bound book which features each artwork appearing in the exhibition alongside its inspirational poem. Tonight my task is to proof read it. The cover is very plain but it was never going to be able to compete with the work inside. And you can’t see the spirals as this is a spiralless proof copy. I would like to assure you the book is in focus and there are no camera strap shadows on it either. I just took some quick photos because I’m not meant to be writing this blog, there’s proofreading to do! So a sneaky peek inside……. Lynn Taylor has made 10 soft leather hand bound books and 4 hard cover hand bound books. 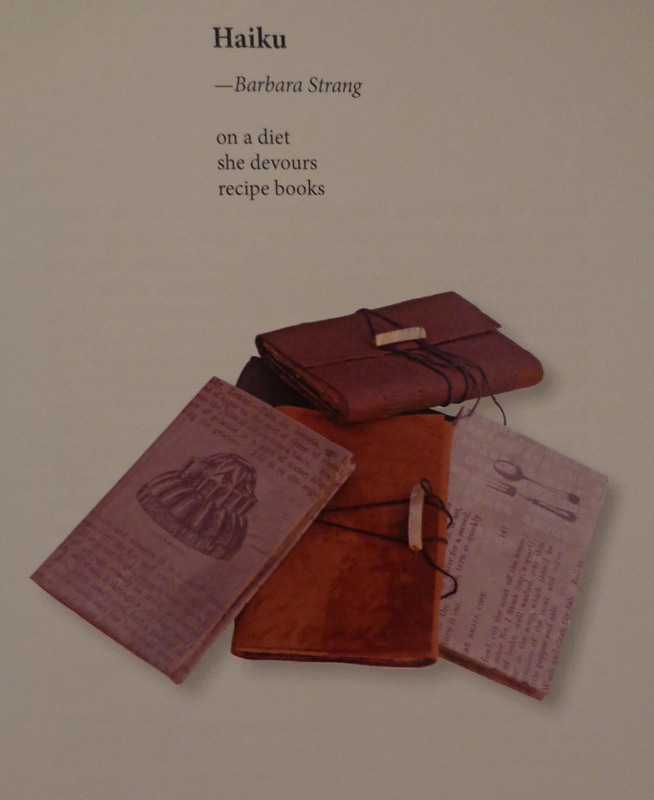 She used a variety of papers including reconstituted paper handmade from a pulped (devoured) recipe book – “Dine with Elizabeth”. 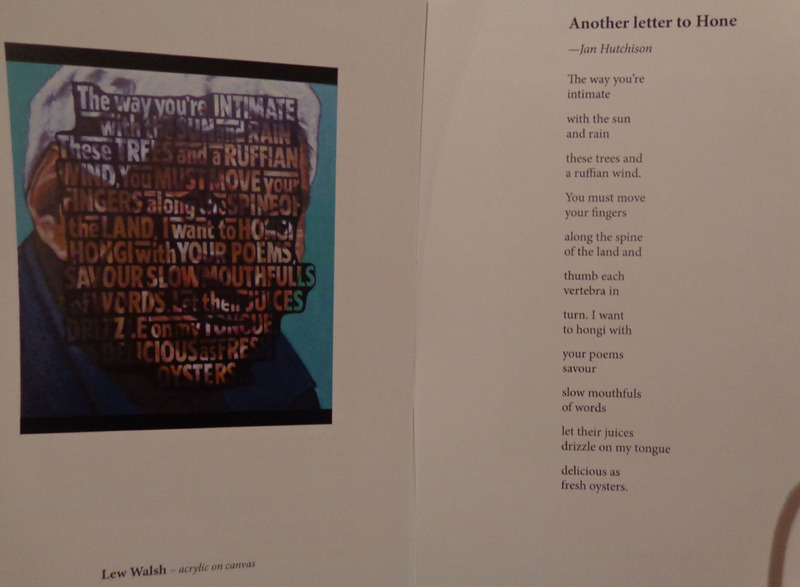 My thanks to Jenny Longstaff and Chris Arnison, for photographing the artwork, extra thanks to Jenny for designing the book and many thanks to the poets and artists for allowing me to reproduce their works. Right, I’m off to ….. proofread.